What Is Americano And What Is Dripped Coffee? Let’s Brew Some…How Do We Do It? The machine: What Do I Need? 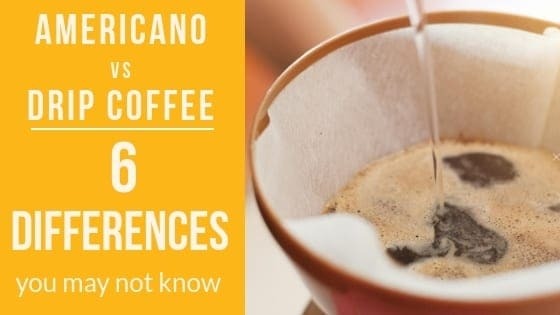 In this article, we are going to talk about a very common question about coffee: the differences between Americano and drip coffee. There are actually a lot of similarities between the two of them, yet they are vastly different. The unique taste of each drink and the intricacy of the brewing process is not just a mundane daily ritual, but a joyous, rich experience you will enjoy learning about just as much as doing it. You will learn to savor the rich, dark taste of an espresso, with its crema as a beautiful garnish. The light and floral flavors of a drip will keep you on your toes and ready to handle anything that comes your way. We will also talk about the equipment you need to get started at home. Read on as we explore what it means to enjoy and appreciate the Americano Coffee and the Drip Coffee. Americano coffee is a coffee beverage that you get when you dilute an espresso with hot water. In this manner, you end up with strength like traditionally brewed coffee, but a totally different flavor.  It is a belief that the term comes from American GIs during World War II, who would dilute the espresso given to them to recreate the coffee they were accustomed to. Drip coffee is prepared by pouring water over onto ground coffee beans and allowing it to brew. You may have heard this called by the names drip brewed coffee, filtered coffee, or ground coffee. This method of making coffee can be traced back to 1908, as that is when the Melitta Benz Company invented paper filters. They are still used today, and you might even have them right in your home or office. Drip brew machines came to replace percolators in the 1970s, as percolators are known to over - extract coffee and make it bitter. While this brew method is popular around the world, it is especially appreciated in Japan, being a central part of coffee culture. Americano: To make a great Americano, you must pull an espresso shot, and have a mug ready.3 ounces is a good starting point, but you will want more if you would like a stronger drink.The espresso is pulled, and following this, 3 to 5 ounces of hot water is put into a mug.The espresso is then poured into the mug, and the drink is ready for consumption.Coffee connoisseurs experiment and try different amounts of espresso and water until they find the correct blend for their personal taste. You might consider adding cinnamon or sugar, although many simply prefer it as is. Drip Coffees: A great drip coffee can be made using the manual pour-over method, or an auto-drip machine. For the manual pour-over, hot water is poured over grounds.Gravity then takes over and pulls the water down through the grounds, and you get a delicious cup of coffee. The grounds remain inside the vessel the hot water was poured into. It is advised that you grind beans just before brewing to ensure the freshest flavor.You can brew this coffee in a variety of ways: by using a filter, French press, or even a percolator. 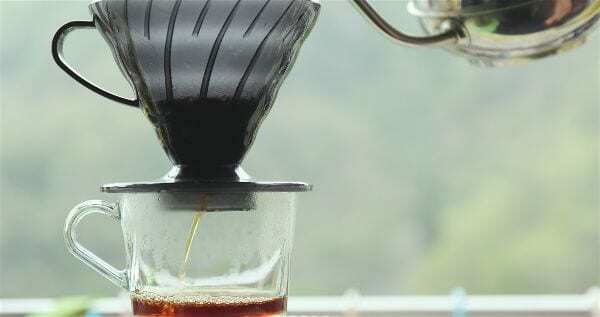 This method can be done using paper filters or with a reusable filter made of fine wire mesh.You can also purchase automatic brewers or manual machines that help you control the flavor. The way in which you grind your beans will affect the flavor of your brew, so it is important to follow the right methods, so you get maximum taste and enjoyment. It is recommended you invest in a burr grinder, as it grinds up the coffee in a finer way. This results in a better taste from consistently sized granules. You can find a variety of burr grinders at all price points, and it will be worth it. Grind for Americano: a good espresso begins with a fine consistency of grinds. This should feel smooth, but you should have the ability to feel the individual grains.Remember, do not grind until just before you prepare your drink, as you do not want the flavor to diminish. Grind for drip: If you have a cone-shaped filter, or an automatic coffee maker, you will want to grind the beans to a gritty texture.It should feel like coarse sand, says Driftaway Coffee blogger Scott. If you are using a French press, you will want grinds that are quite coarse in nature, or similar to that of kosher salt. You may be curious about why grind size matters. It all comes down to flavor. ​​​CONTACT TIME, EXTRACTION RATE, FLOW RATE. Contact time is how long the water will come into contact with your coffee. For a higher extraction, you need less contact time. Espresso does not require a lot of contact time, and because it has a fine grind, it runs the risk of being over-extracted which can make the taste bitter. In a finer grind, the flow rate of water is reduced, which means a higher contact time. If your grounds are too coarse, or contact time is too short, the coffee can come out weak. To make an Americano, you will need an espresso machine. There exist several types of espresso machines. Manual Lever Pumps work by extracting the espresso out by hand with a lever, no electricity needed. Electronic Pumps use electricity to extract the pull from the beans. You just have to set the right temperature. Semi-Automatic Pumps require you to grind the beans and tamp them into the filter. Then you switch on the machine and pump the button until the water turns black, after which you turn it off. Automatic Pumps work by you pouring in the grinds and tamping them into the portafilter. You then turn on the machine and it will brew the espresso for you. Super Automatic Pumps will do all the grinding, tamping, and extracting for you. All you need is your favorite espresso beans. There are lots of excellent machines available in the market for home coffee lovers. Some of these are quite fancy, you might say, and include things like a conical burr grinder, big bean hopper, a steaming wand to froth your milk, and a frothing pitcher. The machines and equipment included come at all price points, depending on how intricate of a machine you purchase. You can even look forward to some features like precision dosing for perfect taste, and digital temperature control for a consistent extraction. Some even feature cleaning kits, which will preserve the taste of your drink. If you would prefer a stovetop espresso maker, you will not run short on options. You can purchase these espresso makers in multiple cup sizes, making it great for those of us with families that come over or friends that like to linger. To make a Drip Coffee, you will need a quality drip coffee maker. No matter which one you choose, you must have the right grind consistency. After you pick up the drip coffee maker of your choice, make sure to get a nice burr grinder. It should be noted that some machines come with a grinder already, so be sure to check before buying an extra item. 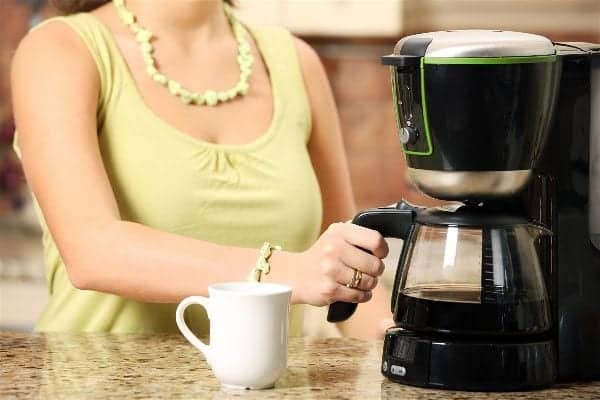 You can choose machines that turn on automatically according to a timer, so that way your coffee can be ready to go upon waking up. You can choose from a variety of brew sizes, some pots will hold 12 cups of coffee, for instance. And some even feature brew strength control, and brew pause, meaning you can pour a cup for yourself and then resume brewing the rest as you go. Let’s see how the Americano and the drip compare when it comes to caffeine. Caffeine enters the brew by way of the hot water acting as a solvent. Other factors include saturation - all grinds have to be saturated for all available caffeine to be extracted. Water temp can affect the brew too, most suggest 95-105 degrees is optimal. And as previously discussed, the grind size plays a role too. Smaller grinds mean caffeine is extracted faster. Caffeine of Drip: If you ask the average citizen which has more caffeine, and offer the choices of espresso and drip coffee, they will likely say espresso. However, you may be surprised to learn that this may not be always so! According to Kicking Horse Coffee, one 2 ounce double shot of espresso has about 80 milligrams of caffeine. A 12 ounce brewed coffee nearly doubles this at 120 milligrams. Perhaps the reason that some feel it has more caffeine comes from the fact that it is drank much faster than a standard cup of coffee, resulting in effects being felt much faster. 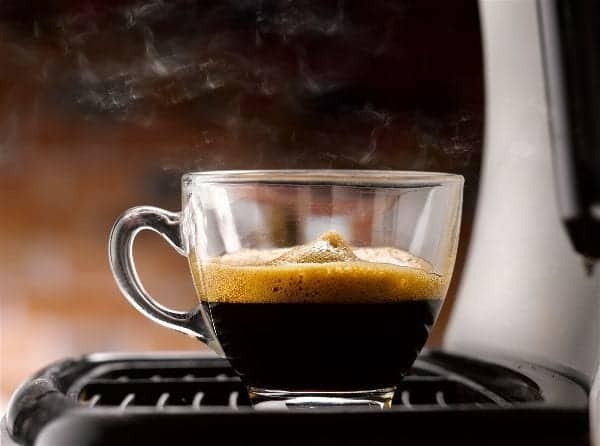 Caffeine of Americano: a 2 ounce double shot of espresso is about 80 milligrams of caffeine, and many cafes use two shots in their preparation. However, depending upon the size of the Americano purchased or your personal preference, your caffeine content can be higher. What to Expect from an Americano. You can expect a rich, dark taste from this brew. Due to the high temperatures used in this brew, lighter notes are often eliminated. An Americano is made up of three distinct parts espresso, hot water, and the crema, or layer of foam produced by oils and fats in the beans. And What to Expect from a Drip. A drip’s slower process allows floral, delicate and sweet flavors to develop over the time spent brewing. You get more of a subtle flavor with this drink. Lastly, no crema is present here. In reviewing the Americano, you may have noticed there is a thin white layer of foam on top of the liquid. You probably wondered just what is that? In short, it is the mark of a great brew. It is called the crema, and this comes from the oils forced out of the coffee beans during the brewing process. These oils are important in the sense that they are packed with flavors that make what you’re drinking great. As the coffee is brewed, fat and oils are emulsified, suspended in tiny air bubbles. After coffee undergoes the roasting process, it lets out C02 for around 24 - 72 hours afterward. Coffee that was freshly roasted and then used for brewing will also emit C02 as part of the extraction process. The presence of crema meant that the bean’s natural fat and oil content was higher, and that it was roasted recently enough that C02 was still being unleashed from the bean. Naturally, espresso lovers took a great interest in the appearance of crema, because not only did it mean quality, but also freshness. Yet crema actually tastes quite sour as a result of the C02. Crema may look nice, but it is certainly not everything. Shots with no crema can be pulled due to roasting methods at the plantation, and some espresso makers aerate coffee during extraction so that it looks like crema is present, but the sour flavor is not. The fine folks at Seattle Coffee Gear advise you to look at the following factors when thinking about crema. Plantation Processing. Certain beans will maintain more of their sugar and fat, which means more crema during extraction. Beans from different parts of the world will also have different effects on crema production due to their processing. Roasting Date. If you pull a shot with coffee roasted less than 72 hours before, you might end up with a blonde shade that you might think is crema. Color of Roast. If you roast a darker color, more of the bean’s natural oil comes to the surface and thus transfers to containers, grinders and equipment, meaning less oil goes into your pull. Technology. A pressurized portafilter will aerate your coffee as extraction takes place, which will make it look like you have crema. While this is wonderful for eliminating any unwanted sour taste, it does take away from the taste you might find using traditional methods. All in all, we hope that this article has presented you with the ability to make an informed decision about which coffee is best suited for your individual taste. It is also dependent upon the time of day, and your mood-some days will call for the dark, rich taste of the Americano, perhaps with an extra shot of espresso. Other days you will want the light and floral taste of the drip. Preparing these drinks at home is as simple as finding a machine that fits your budget. No matter how you spin it, the complexity of these drinks’ flavors and the care that goes into their preparation, from bean to grind to pour, make them an experience, not just a morning ritual. Which do you prefer? Leave a comment below and tell us.